Crickets: what are they and why do we care? There are loads of types of cricket, but we are mainly interested in one species: the field cricket Gryllus campestris. Field crickets are found in rough grassland all over Europe with a very small population in the UK. Each individual lives one year. 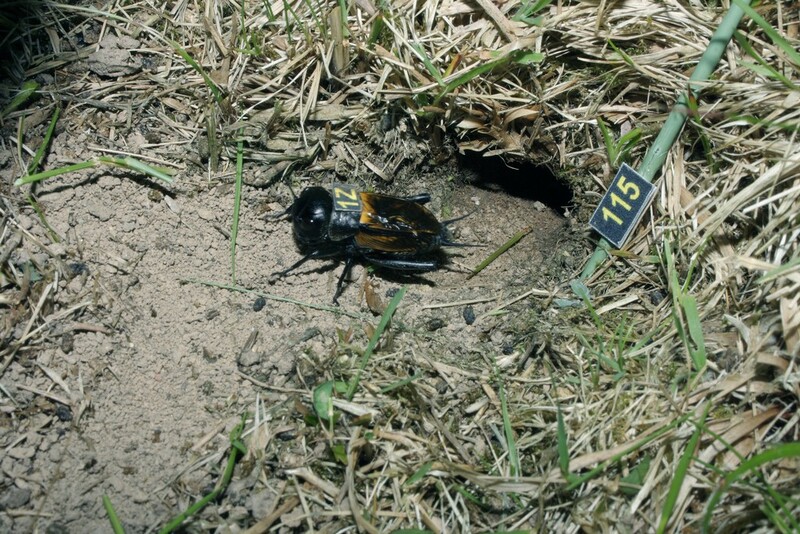 Sub-adults spend the winter in their burrows, become adults in the spring, mate and lay eggs over the next couple of months and die before the end of the summer. We track them for their whole adult life.